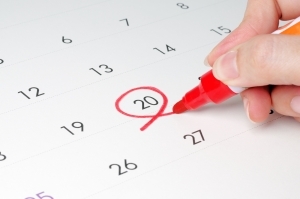 Plan Your Document Protection Schedule Ahead! If your business is a high paper consumer, expanding or moving, or you	simply would like to purge your existing documents and data, our regularly	scheduled document shredding services can ensure that your location remains	clutter-free and your data remains secure. Often, our offices can be cluttered	with excess documents that simply take up space and cause us to become	disorganized. This is not only unproductive, it can also be extremely dangerous, as your	personal or professional documents could go missing and you wouldn’t	even notice until it’s too late. To avoid this unfortunate scenario,	let our Chattanooga and Knoxville document destruction set up a routine	shredding appointment at your workplace. To request a quote regarding our shredding services, call our offices at (423) 805-6070	!